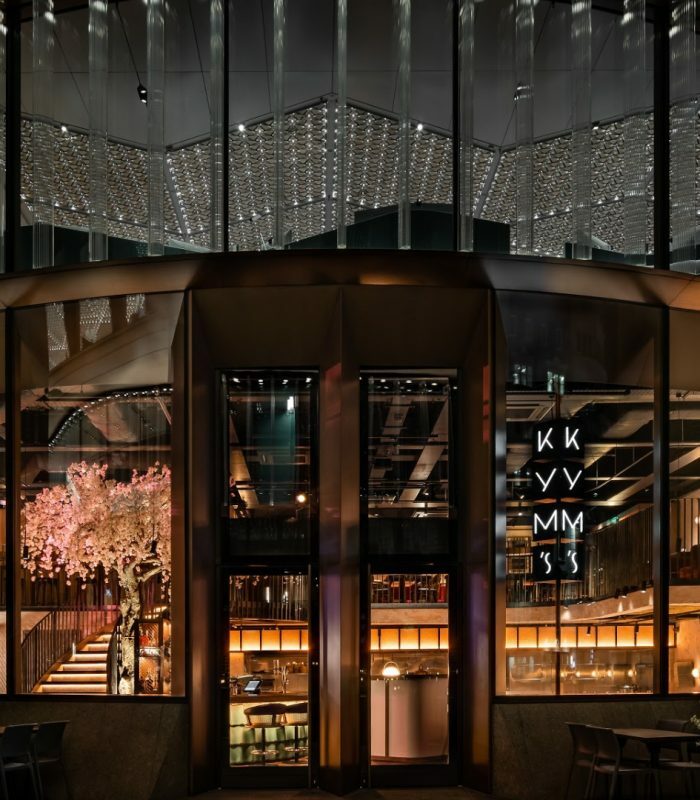 Located in Bloomberg Arcade at Bloomberg’s new European headquarters in London, is the shiny new and eagerly anticipated restaurant Kym’s. 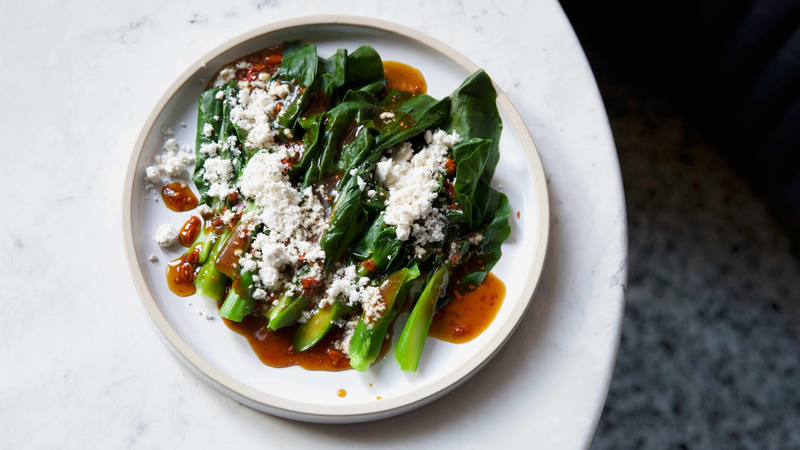 The latest restaurant to open by Chef Andrew Wong, Kym’s is a Chinese restaurant with a modern twist that invites guests to enjoy a casual meal in relaxed surroundings. “My food has always been about the journey: the history of China and the cultures of its gastronomic regions. Kym’s will be no different really but this time it’s about my community and my own journey. The name is actually something very personal to me and my family.” – Andrew Wong. 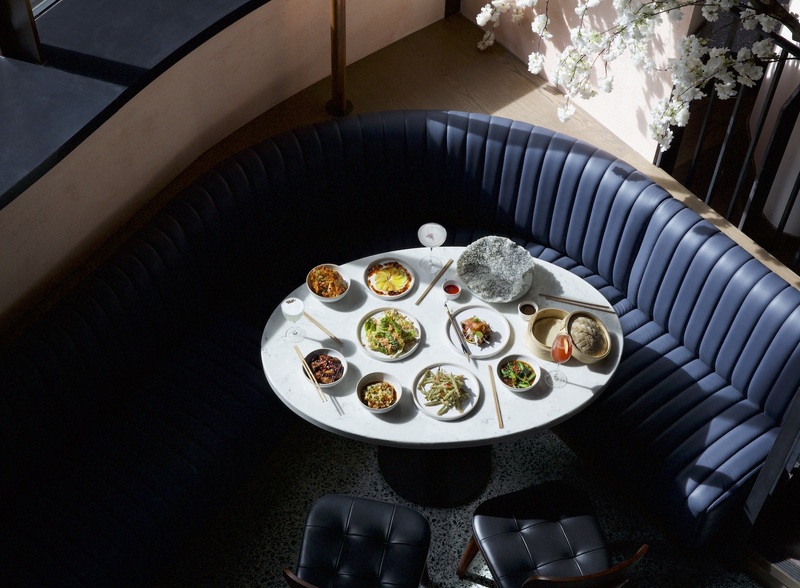 The new restaurant has been named after Andrew Wong’s parents’ restaurant which opened in Victoria in 1985 and the family owned for 27 years and is where Andrew spent his childhood. 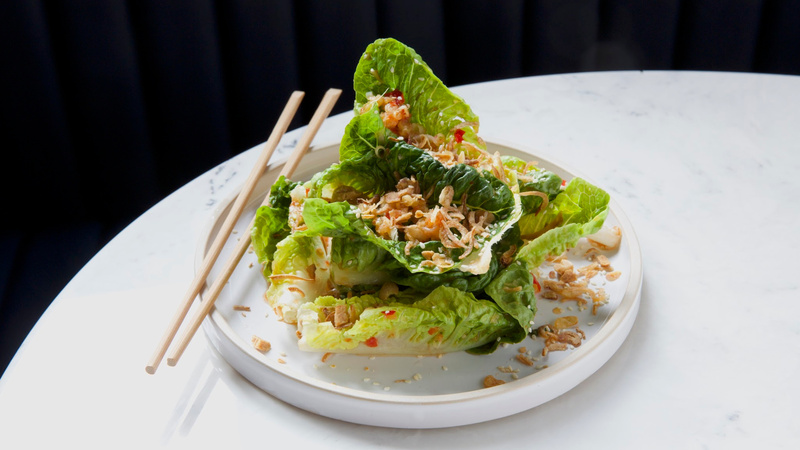 (You may recognise this restaurant by the name of A. Wong these days as Andrew and his wife Nathalie reopened it as A. Wong in 2012). 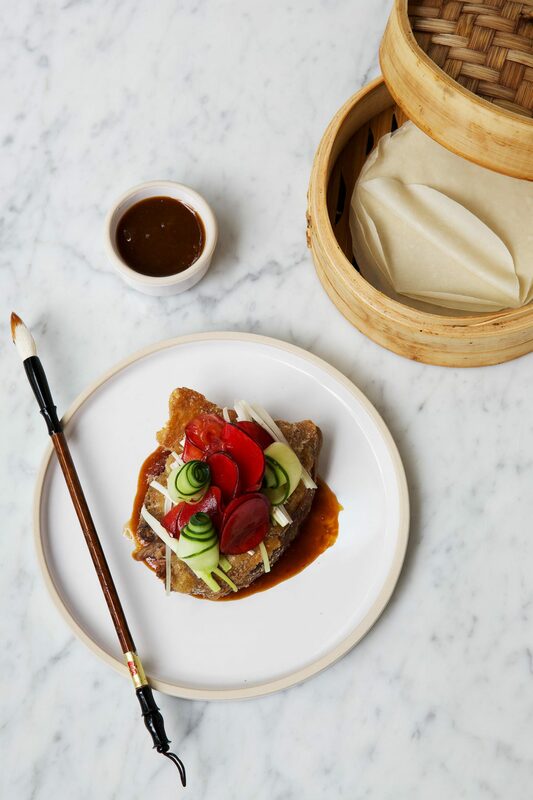 The selection of dishes on the menu at Kym’s are based around Andrew’s interpretation of classic Chinese dishes, the produce used are from specialist craftsmen from Soho’s Chinatown, linking the trading areas of London’s Chinese community with the heart of the financial Square Mile. 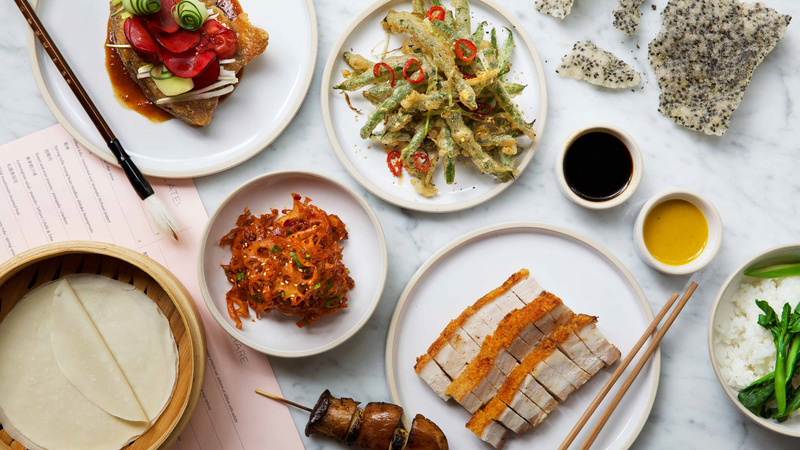 Sharing platters of crispy duck with pancakes, plum sauce and slow poached soy chicken, ginger relish and rice look too good to eat, and to finish the dessert menu features the ‘Chinatown’ pineapple bun with custard – which we heard is a must try! 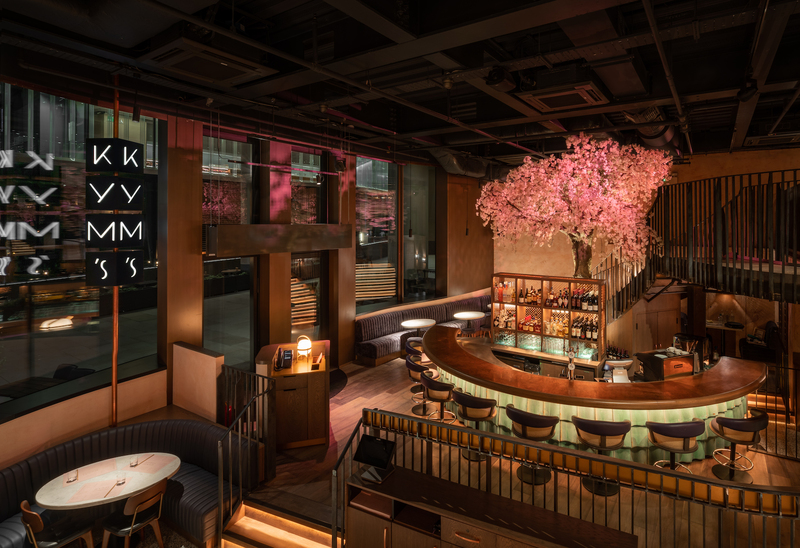 Seating over 120 guests over two floors, the interior has been created by Michaelis Boyd, featuring a bespoke five metre high cherry blossom tree that sits through the gently curved staircase that links the bar to the restaurant in the upper mezzanine level. 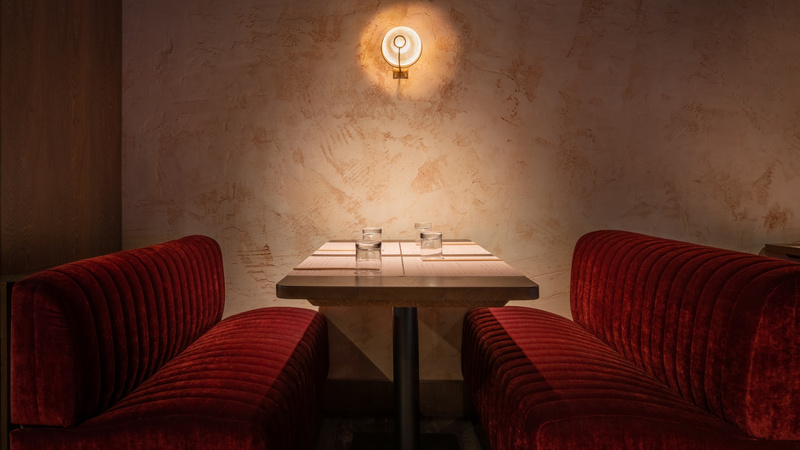 As with the cuisine, the bar – which can seat up to 30 guests – will serve a selection of Chinese influenced cocktails as well as beer, and a carefully selected wine list to accompany dishes on the menu. Kym’s is open Monday -Saturday Lunch from 12pm-3pm and 5pm-11pm for dinner and on Sundays a Chinese roast menu from 12pm-6pm. A ‘grab and go’ menu is also available during lunch service. To see the full menu, find out more information or make a reservation, visit the website here.